Apple will add the third-generation iPad to its vintage and obsolete products list on October 31, 2017, according to an internal memo distributed to Apple Authorized Service Providers and verified by MacRumors. The memo states that both Wi-Fi and cellular models of the third-generation iPad will be classified as obsolete around the world, except in the state of California and Turkey due to legalities in those regions. The distinction means that Apple and Apple Authorized Service Providers will no longer repair or service the tablet since it will surpass five years since last being manufactured, except where required by law. In California, for example, third-generation iPad owners may still obtain service from Apple Stores or by contacting Apple support at 1-800-APL-CARE. The extended coverage period will likely end in October 2019. 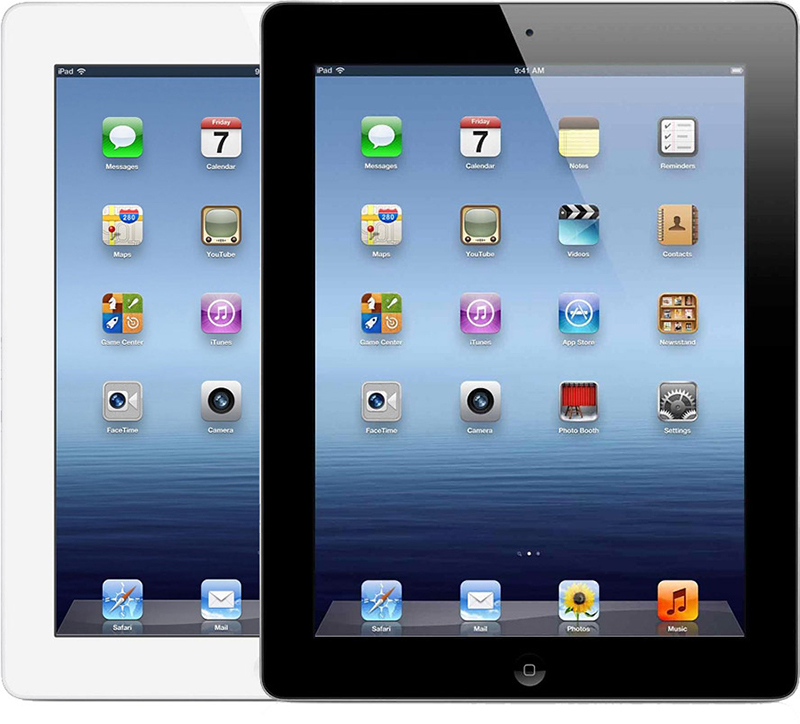 Apple released the third-generation iPad, formally known as "the new iPad," in March 2012. The tablet was Apple's last with a 30-pin dock connector, and it was immediately discontinued upon release of the fourth-generation iPad with a Lightning connector just seven months later. The third-generation iPad will join the original iPad on the vintage and obsolete products list. iPad 2 hasn't received the classification yet since it remained in Apple's tablet lineup as a low-cost option until 2014. It was obsolete on launch.. Confirmed by Apple when they killed it 7 months later. So far the best and longest iPads are the 2s. iPad 2 and Air 2. I don't think that's fair (I mean, I'm biased - I bought one). It was the new iPad, and Apple were harping on for so long about how much engineering effort it took to get a Retina display in there. Customers couldn't have foreseen Apple replacing it with something significantly slimmer, faster and lighter barely half a year after it launched. IMO, Apple lied to those customers. I still use one. It still feels like I have no real reason to upgrade from it. A shopping channel in the UK (Ideal World) were selling them ('https://www.idealworld.tv/gb/pp/apple-ipad-3-64gb-wifi-3g-certified-refurbished-with-bluetooth-keyboard-and-leather-effect-case-439043?query=fh_view_size%3d24%26fh_location%3d%252f%252fidealworld%252fen_GB%252f%2524s%253dipad%26fh_sort%3d-_match_rate%252c-onair_iw%252c-hasimage_iw%252c-salescash_iw%252c-stock_iw%252c-average_overall_rating_iw') a week ago, as 'refurbished' models. It hasn't gotten a software update since the last release of iOS 9. In our house, it's been relegated to being my kid's screen in the back of the car when we're on a roadtrip and it's also been used as a baby monitor. Works great for those two purposes. Still using the one I got on launch day. It is noticeably slower, but it works fine for my wife to shop online, post on Facebook, check her email, and send messages. I do have to say I felt just a little let down by Apple when they announced the 4th gen just a few months after I got mine. It feels like the 3rd gen was a stopgap device released just so Apple could claim a retina display on the iPad but Apple wasn't ready with the A6 chipset yet. I suspect I'll wind up replacing it later this year when the 2017 iPad likely is one of the Black Friday sale items and I can get a $50 gift card along with the purchase. I'm still kicking myself for not grabbing an iPad Air 2 when they were selling for $299.